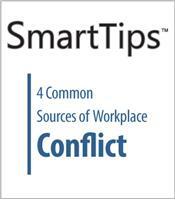 Every workplace has its share of conflicts. As a manager, you'll occasionally find yourself in conflict with your peers, or with members of the team you manage. In this SmartTips video, you will learn the five basic conflict management strategies: authoritative, accommodating, compromising, collaborating, and avoiding. There are really only four underlying reasons for conflict: interdependence, incompatible goals, scarce resources, and interference. 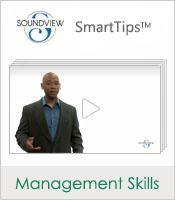 In this SmartTips video, we look at how each of these issues relates to the workplace.